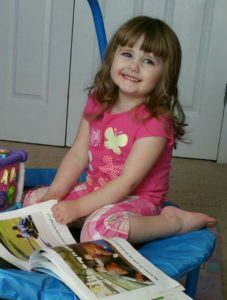 Brylee is a beautiful 4 ½ year old little girl. She was diagnosed with nonverbal autism spectrum disorder when she was 2 years old. Brylee was a happy, healthy baby who hit all her developmental milestones on time up until she was a year old. By the time Brylee was 18 months old, her mom knew there was something wrong. 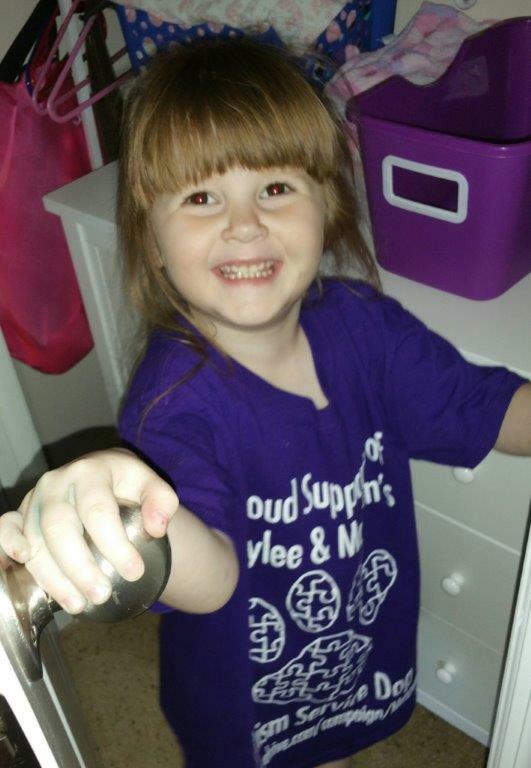 During Brylee’s 2 year checkup, it was decided that she needed to be evaluated for autism. As her parents, going into the evaluation, we had a feeling of what they would tell us; but, there is nothing in this world that can prepare you for hearing the doctors say your child has autism. A couple of months after Brylee received her diagnosis, she started her speech, occupational and behavioral therapies. After her 3rd birthday, she started pre-school where she continues to receive therapy. Brylee loves school. While she still remains nonverbal, she has made remarkable progress. Madison is Byrlee’s 3 year old little sister. She, too, was a very happy and healthy baby hitting her developmental milestones right on time. Madison was different from her sister. Madison would make eye contact with you when you talked to her. She had a wonderful appetite and would eat almost anything you put in front of her. She was responding to her name and starting to talk. When Madison was 22 months old, we started seeing things that reminded us of her sister, Brylee. Our pediatrician wanted to send her for an evaluation just to be safe. When we got the results a few days later, it was like someone had taken our hearts right out of our chest. This diagnosis came out of nowhere and hit us hard. Madison was diagnosed with nonverbal autism spectrum disorder 6 days after her 2nd birthday. She has completed a year of speech, feeding, occupational, and behavioral therapies 4 days a week like her big sister. She started pre-school on her 3rd birthday. Madison also now receives therapy at school like her sister. She is still nonverbal, but she is trying to babble almost talking. 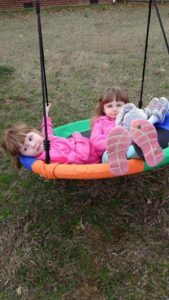 With both of our girls being nonverbal, it is becoming harder for them to communicate their wants and needs as they become more independent. They are growing more and more frustrated, and this is causing meltdowns that are becoming dangerous for them and others around them. Brylee has started to self-harm when she becomes frustrated with something or someone. Madison isn’t far behind, mimicking her sister. They both, especially Madison, love to slip away when mom and dad aren’t looking. This is becoming worrisome as they get older and have started trying to unlock the doors. Brylee is also becoming VERY affectionate to those she sees often. She loves to give hugs and has shown this affection towards animals brought to school as therapy assistants. Our entire family is very hopeful that a therapy dog will help both young ladies grow up with fewer meltdowns and help them feel more safe and secure both at home and at school. Ady's Army is a 501(c)(3) nonprofit organization. Donations are tax-deductible to the extent allowed by law.